Tell us about your journey from photography to advertising. Change has been the recurring theme in my life. After I finished schooling, I was seriously contemplating becoming an architect. Then an amiable gentleman named Iqbal Mohamed asked me to forget education and assist him in photography. I had to take him seriously as he was an incredible lensman, remarkable teacher and an even better spotter of talent. The thought of capturing beauty in a box was more appealing than spending four or five years listening to boring lectures. That was the beginning of Chapter 1 of my creative journey. After learning the nuts and bolts from Iqbal, and studying photography at the Maine Workshops in USA, I branched out on my own with Eye-Light Pictures. Over a period of time, I realized that there was little scope for innovation in editorial photography and the commercial market for fine art photography just didn’t exist. That was when I began my tryst with advertising. My first major ad campaign as a photographer was for Lintas. It was the launch campaign for TVS Whirlpool washing machines. The shoot was for Neville [D’Souza] and Josy Paul. After that, there was no looking back. There were many assignments – big and small, with all the leading ad agencies. Mostly in the realm of still life and fashion. Over a period of time, I realised I was just shooting pretty pictures. The advertising scene in South India was also not helping my cause either. It was more and more of churn work. The artist in me was getting tired. I wanted to just break out and do something more meaningful. That was when I met two likeminded souls – a copywriter named Anantha Narayan and an art director named CP Sajith. They were equally fed up with the assembly line creative model of large agencies. Together, we decided to do what we always wished to do – create advertising we were proud of. That’s how 1pointsize was born [in 2002]. And that was the day, I became an ad man. Once you did decide to join, what did you think about advertising? My world view of advertising changed after we founded 1pointsize. From seeing advertising as a formulaic tool for persuading customers with nice visuals and clever copy, I discovered it was an art form with which we could create new markets and build new brands with fresh language-neutral ideas. What was the intent of starting 1pointsize, and what were all the things you wanted and didn’t want the agency to be? When we floated 1pointsize, our intent was clear: we didn’t want to be one more ad agency. We didn’t want to play the billings game because when you become a slave of Ad Spends, you focus more on maximising revenues, minimising risk and end up creating ‘safe work’ that no one will criticise or appreciate. One more thing we didn’t want to be was - to be another vendor to another client. We wished to create an experimental creative shop instead, where the agency-client relationship will be akin to a doctor-patient equation. In this model, the client will just state the brand problem and leave the communication prescription to the able hands of the physician. Basically, zero interference whatsoever in the creative process, backed by total freedom. We were convinced that this model will work as we had the skill sets to make it work. Once we arrived at what we stood for, we went about picking and choosing clients who shared these values. With such lofty ideals, not many gave us a chance. 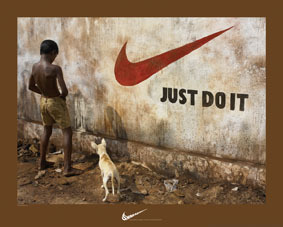 No one actually believed that were clients in India who were capable of giving total creative control to ad agencies. That was way back in 2002. It's 2010 now. And I am happy to report that we’re still alive and clicking. What were the challenges in getting clients in a market like Chennai? With a unique model like ours, we knew it wasn’t going to be easy bagging clients. We knew we had to first demonstrate that ‘award winning’ advertising could actually be ‘market share winning’ for brands. So we did something that flummoxed ad folks in Chennai - we stayed away from big clients. We chose to work with semi-brands like Perri Alley, Derby, Stori, Eatalica and Tic Tac. And set ourselves the challenge of making them famous regional brands. We tasted success in a year. Our work won us the ‘Agency of the Year’, ‘Multimedia campaign of the Year’, ‘Brand building campaign of the Year’ among many international awards. We repeated this feat, twice over. Our unique ability to create simple yet striking work earned us new clients via word of mouth. Most of our clients were entrepreneurs (with me-three and me-four brands) who wanted to carve a niche for themselves. We spent 7 years of our life in laying the foundation of fame for these not-so-big brands. Seeing our body of work, in 2010, a big brand in Mumbai, invited us for our first ever pitch. Ever since, we’ve shed our reluctance to look beyond the South of India. Do you remember the first ad you created at 1pointsize? What was the process (both creative and emotional) like? Oh yes, I do. It was for Perri Alley Shirts. We just had one tiny hoarding in the city of Chennai. Our task was to get the unknown Perri Alley into the consideration set of the young executive. So we took a stunning visual route. We shot a shirt made out of creepers, beach sand and ice to get across the comfort angle of cotton. We made Chennai sit up and take note of Perri Alley. The ultimate compliment was from a customer who walked up to a dealer and insisted on not leaving till he was delivered the ‘shirt made out of sand’! From 2002 to now, what have been your learnings of running an independent agency? Running an independent agency without selling your soul is one of the toughest jobs in the world. You have bills to pay and promises to keep. You have brands to build and benchmarks to beat. And the temptation to compromise for the sake of money is always there. If you ask me the biggest pressure of an independent agency is always the Average. Our average, by definition, needs to above the industry average. How do you do this with small accounts? How do you this with g-string retainer fees? How do you resist the temptation to compromise for the sake of money? That’s really the kind of dilemmas one faces during the times of highs and lows. It’s one hell of a battle for survival. I think our biggest learning has been to master this art of survival. What would be the reasons that you never thought of joining a large network agency? Any agency with an aspiration of growth needs to keep its mind open on joining large networks. 1pointsize is an open minded agency. We are convinced that there is a definite global need for our brand of creative. But we are not in a hurry to get on to a ragtag bandwagon. If there is a network, that has the mind space for an independent minded agency like ours, we will certainly explore that option. There’s some really nice illustration work for Tic Tac on the website. Do you think this particular kind of art gets enough attention in regular Indian work for brands? 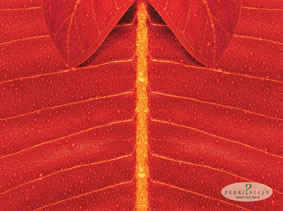 I think, we ad agencies, have to take the onus of educating our clients on styles, looks and tones. Otherwise, we’ll keep getting campaigns with stock pictures. And illustrations will always be looked as a cheap alternative to photo shoots. To be honest, I think, the 3D illustration style that we used in 2005 for Tic Tac Movie Rentals, was way ahead of its time. Things have improved these days thanks to some world class work from Ogilvy India and Taproot. What are your views on advertising photography in India, and the stiff competition Indian photographers get from international ones? Where are the big shoots? Agencies are happy ripping images from Getty or iStock. And clients who blow up crores of rupees on TVCs, settle for screen grabs for usage on outdoor or print. In my view, the biggest competition for Indian photographers is their inertia. If they don’t wake up, soon, we’ll be shooting only swimsuit calendars! You’ve won awards as a photographer (Red Cross) and as an agency (Stori). What are your views on awards and the scam versus real work debate? Our body of work is proof that it’s possible to do award winning work that works. So, I don’t see awards and real work as different. Any creative professional worth his salt and sugar, loves recognition from his peers. So we should never do anything to deny the artists, their due. If the leaders of the industry, set examples by doing stunning pieces on bread and butter brands, the junior most creative teams will follow suit and focus their energies on winning big time on mainstream brands. That’s the only way out of this tired debate. What are your plans for yourself and 1pointsize in the future? Like I said earlier, change is the story of my life. And I embrace it whenever I get a chance. A year ago, I created one such chance with OneEyeland.com. It’s the world’s largest community for creative photographers. We’ve achieved this landmark in 14 months. I see this getting bigger and bigger. I see scope for building many more creative communities online. And 1pointsize, with its web and design expertise, will play a large role in this. One more item on the future agenda of 1pointsize is to offer our brand of creative to big brands, inside and outside India. As we are one of the few creative shops in the world with specialists in art direction, graphic design, illustration, photography, styling, copy writing, screenplay writing, web designing and visual & verbal identity, we think we have a lot more to offer than your average ‘network agency’. Shard Haksar 'Brand Irony Series' This gets featured every day on the internet, in some site or the other. Perri Alley "Crafted from nature' I think, even today, this campaign will work anywhere in the world. 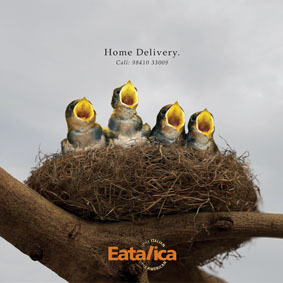 Eatalica 'Hungry Birds' I thought this was a very smart ad. Sharad Haksar 'The World's First Camera Lens Calendar' It's a great feeling when you patent your design and to know it's the first of its kind in the World. 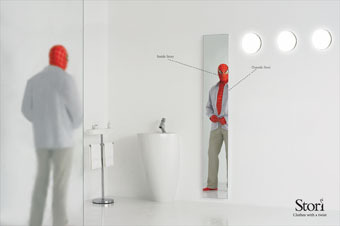 Stori 'Clothes with a twist' Each of these ads tells a story. Put together, all four tell another tale. Stori 'Inside Story, Outside Stori' We were the first to do a superhero campaign in India. After us, there was a deluge. Bharat Eye Bank 'Eye Feast' A wacked out way of conveying a simple thought. Stori 'God Dog' It was the boldest statement on the Iraq War from India. Stylesmith 'Hairdo' A piece that earned us a lot of international appreciation. Shard Hasker 'Since 1973' This one got us a D&AD in-book. That's why.